If you are experiencing complications after having had mesh transvaginally implanted, you may qualify to file a vaginal mesh lawsuit seeking significant compensation. Patients who received transvaginal mesh as treatment for pelvic organ prolapse, urinary stress incontinence, or other procedures should be aware that the U.S. Food and Drug Administration has issued warnings regarding this material. As of July 2011, the agency recommended alternative treatments due to complications that include pain, urinary problems, infection, incontinence, and erosion or protrusion of this mesh. Patients interested in pursuing a vaginal mesh lawsuit due to their increased risk of serious injuries should familiarize themselves with the process. Many women experience pelvic organ prolapse (“POP”) during pregnancy or childbirth. Others find themselves with stress urinary incontinence that creates urine leakage during physically stressful times. Transvaginal mesh is typically used to treat both conditions. The mesh is inserted through a surgical or vaginal incision and implanted or attached to the vaginal wall. These medical conditions are common and the procedures are relatively routine. The mesh material is what has created concerns. If women develop complications due to vaginal mesh insertion, they may need to have the material removed. This process could involve several revision surgeries and subsequent repair of the prolapse that required the initial procedure. Stress incontinence patients may have received a sling made from synthetic mesh and this may cause other complications like obstruction of the bladder outlet and narrow mesh exposure. The sling must be removed and in nearly all cases, vaginal tissues must be re-sewed. These treatments can be painful, expensive, time-consuming, and have consequences of their own. Some women experience more serious complications including damage to organs near the mesh insertion site. None of these issues would have arisen if the mesh material were safe for use. 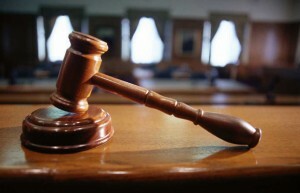 Therefore, these patients have good cause to pursue a lawsuit regarding the situation. The safety advisory issued by the FDA included a large number of transvaginal mesh products and manufacturers. Lawyers specializing in lawsuits regarding these products are handling cases that deal with products from American Medical Systems, Boston Scientific, C.R. Bard, Ethicon Inc. and several other manufacturers. Similar devices that are also the subject of lawsuits include the Mentor Ob Tape Vaginal Sling. Women who have experienced complications from their transvaginal mesh implants can seek compensation for their pain, suffering, lost wages, and relevant medical expenses. A legal professional skilled in transvaginal mesh cases will provide a confidential consultation at no charge. If the lawyer believes that there is a case to be made, the client will receive personalized attention throughout the litigation process. The last thing a patient wants to hear is that complications have arisen as the result of a surgical procedure. In these situations, the complications are due to the mesh material used to treat the medical condition. Patients who are suffering should get treatment and consult with a legal professional to determine whether they qualify to file vaginal mesh lawsuits. If they do, they can rest assured that a legal expert will help to get them the compensation they deserve. If you believe you have a case for failed vaginal mesh implants, Bernstein Liebhard can help. We will evaluate your case free of charge and if we determine that you may be eligible for compensation from your vaginal mesh implant’s manufacturer we will file a vaginal mesh lawsuit on your behalf. To get started, please call 1-888-217-3033 or fill out the Case Evaluation Form on this page and a Bernstein Liebhard attorney will get back to you promptly.